March to a different drummer! Take risks. Make bold choices. Break the rules! But do it purposely and strategically, using The Coffee Break Screenwriter . . . Breaks the Rules as your guide, and create a script readers will remember. 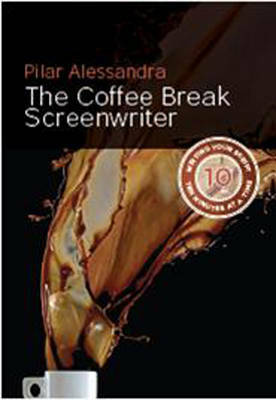 Pilar Alessandra's popular book, The Coffee Break Screenwriter, taught writers how to outline quickly, write efficiently, and rewrite creatively. It's the 'go-to' book for getting one's story on the page. But now that same writer may be doing a final pass on a project, working with a producer, or coming up with a new project only to be hit with . . . RULES! Should the writer respond to this random list of dos and don'ts pertaining to structure, characters, dialogue, and formatting? Nope. Who says you have to follow the screenwriting rules? In this book Pilar reviews the rules writer assume they should follow, discusses why they're there in the first place, and then shows you ways to creatively break them. Buy The Coffee Break Screenwriter... Breaks the Rules by Pilar Alessandra from Australia's Online Independent Bookstore, Boomerang Books.